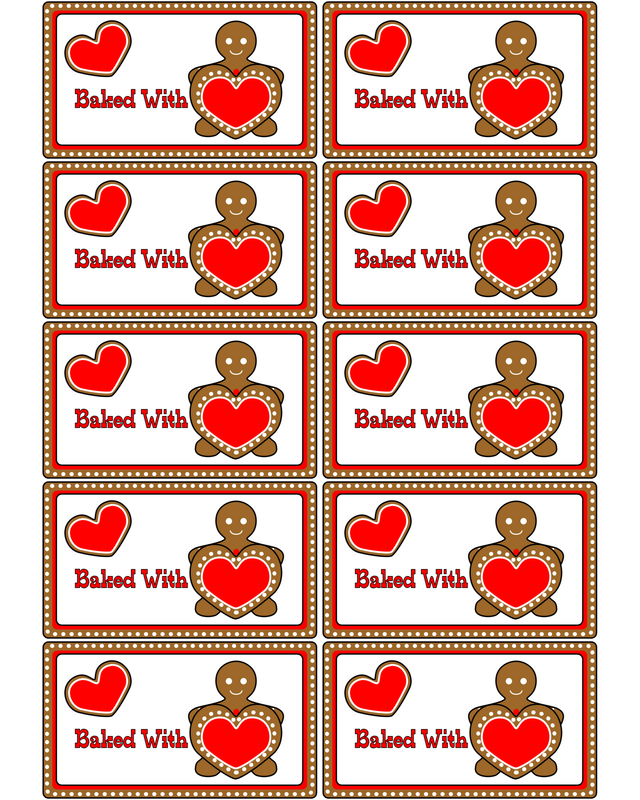 Baked With Love labels. The one above can be used in your word processing software, and it's the same size as a standard business card. 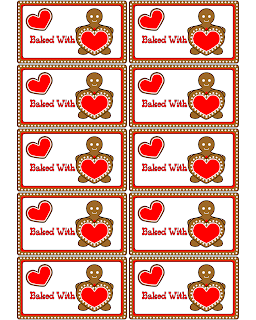 The one below is ready to print and cut out and you can sign your name to it. Click on the images for larger versions. 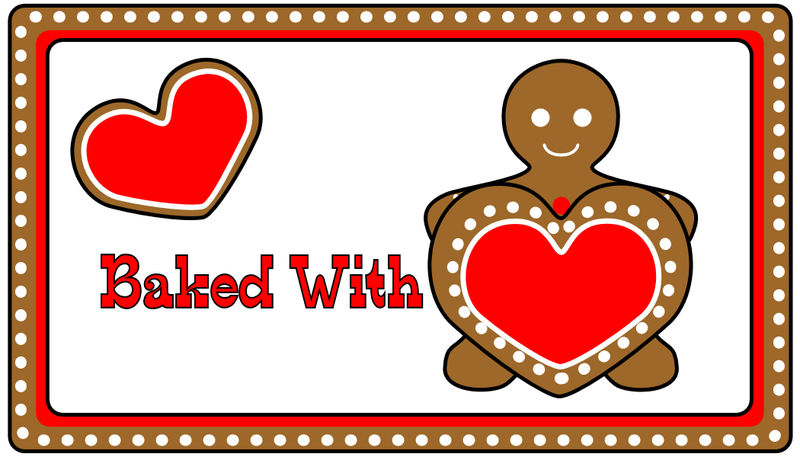 The cupcake themed baked with love labels from a while back. 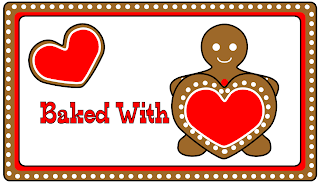 Would you like to see this gingerbread man on a cookie box? I have just found your site and I am so delighted with your work. I think this Christmas I will be giving all of my neighbours children cupcakes and cookies, beautifully enclosed in your gorgeous boxes. Thankyou.